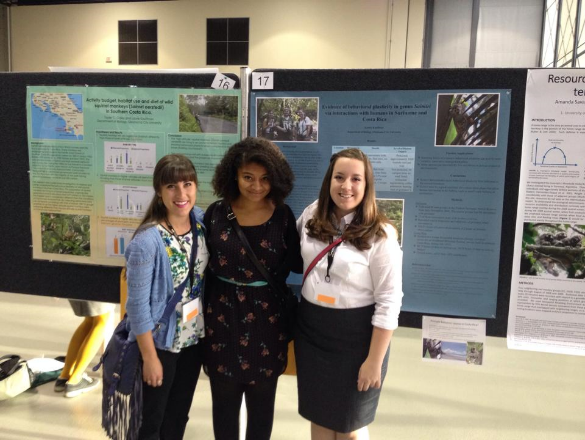 Undergraduate Research in the biological sciences is an enriching and rewarding experience, as well as essential preparation for graduate and professional schools (e.g. medicine, dentistry, etc.). At Oklahoma City University, over 80% of our science students are accepted into their preferred graduate programs. Our students have the opportunity to pursue research with one or more of our faculty, representing diverse research disciplines ranging from primate behavior to neuroscience to biodiversity inventory. Research is often collaborative and cross-disciplinary, combining field studies with advanced molecular biology, for example. Our students are strongly encouraged to present their research findings at local, regional, and national meetings; and publication in scientific journals. Additionally, several students have participated in off-campus summer research positions at places ranging from the Oklahoma Medical Research Foundation, Harvard University, and the California Academy of Sciences. 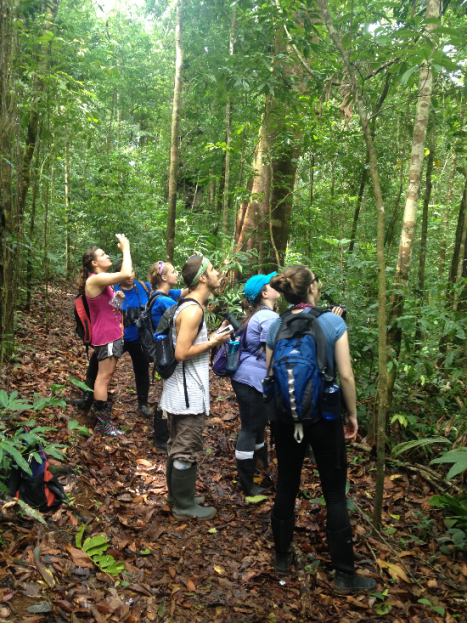 Co-curricular research exists through courses such as Rocky Mountain Field Biology, Natural History of the West, Gulf Coast Ecology, and Natural History of Costa Rica. In these field intensive courses, students are offered numerous unique research opportunities in advanced field studies and techniques. Dr. Tony Stancampiano, PhD. His research focuses on the ecology of homeothermic vertebrates; more specifically, how do these animals perceive their environment at the local and landscape scale. Under-graduate researchers are currently investigating the habitat affinities of small mammals and preferred landscape features of secondary cavity nesting birds, while others are assessing nest composition and surveying opportunistic nest inhabitants and also establishing molecular markers for two sympatric species of mice in an effort to determine if hybridization occurs and to develop more accurate field identification. Dr. Laurie Kauffman, PhD. is interested in primate behavioral ecology. Her research focuses on primate behavioral plasticity, and interactions between human and non-human primates. She and her students are interested in looking at effects of tourism on primate populations and behavior, and investigating how interactions with nonhuman primates affect tourists’ views of wild animals and conservation. Dr. Greg Mullen, PhD. Nerves communicate through specialized structures called synapses. This cell-to-cell communication is central to many biological processes, including muscle contraction, memory and learning. He uses the nematode C. elegans to identify and study proteins that are involved in synaptic function. And because synaptic proteins are well conserved, C. elegans studies have contributed greatly to the understanding of how synapses are generated, function, and regulated in human beings. Dr. Adam Ryburn, PhD. A plant systematist by training, the focus of his research is the classification and identification of native plants of Oklahoma. He works with other state botanists on the Flora of Oklahoma Project, constructing the keys and descriptions of the vascular flora of the state.